Last year, we were thrilled to welcome our partner, CAA South Central Ontario, as guest bloggers here on PumpTalk. 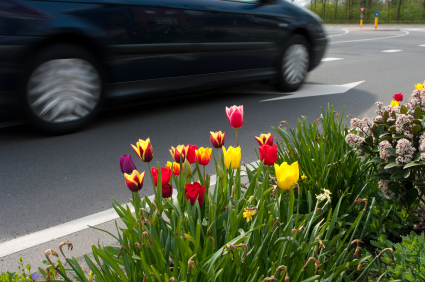 This year, they're springing into action with these tips for spring car care, to help get you road ready for the season to come! Plus, check out their previous post, Bike Safety Tips for Summer Driving - it's especially relevant now that the weather is heating up and more bikes are hitting the street. Your vehicle has survived the harsh winter and with the lure of long weekends, cottage getaways and road trips, it's time for a spring check-up so you don't get left at the side of the road. Give your vehicle a thorough cleaning to remove salt and sand accumulated over winter. Clean under the hood and wheel wells. Check all lights to ensure they're in good working order, including the headlights, brake lights, turn signals and hazard lights. Check the hoses and belts. They can become cracked, frayed, loose or show signs of excessive wear. Switch your winter tires to all-season tires. Make sure your tire pressure is within specifications. The vehicles' owner's manual will have recommendations. The information can also be found on the drivers' door jam, fuel filler or glove box door. Always keep your mirrors and windows clean. Check your wiper blades and replace if they are worn or damaged. Replace your air filter twice a year. Change your oil (according to the owner’s manual recommendations) and keep fluids like brake, coolant and windshield washer, topped up. For car maintenance tips year-round, be sure to visit CAA South Central Ontario's site.